Saint Charles Therapist: Cherry Weber - Therapist 60174. Send A Message To Dr. Weber. Dr. Weber is a Licensed Clinical Psychologist. She received her doctorate in 1980 from the University of Southern Mississippi. With over 30 years of experience she has developed expertise in many areas of psychology. She has work experience within the prison system, psychiatric hospitals, court system, and currently is in private practice. She offers individual, marital, and family psychotherapy. She provides treatment for adults, adolescents, children, families, and couples. 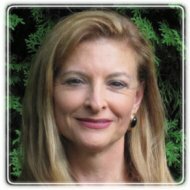 Her areas of expertise include disorders either emotional and/or behavioral, consultation for women’s issues, survivors of sexual abuse, eating disorders, divorce mediation, custody evaluations, domestic abuse, stress, medical illnesses due primarily to emotional problems, chronic pain management, impulse control disorders, anxiety disorders including post traumatic stress disorders, depression, anxiety, criminal and probation cases, and mood disorders. Dr. Weber also consults with various community organizations including local domestic abuse organizations and provides psychological testing and evaluations.